Studies show more and more high school graduates have the skills to enter the University at 18-19 years old, and be mature enough to handle the setting. We've seen numerous reports where adolescence is being lengthened from 13-18 to almost 13-25 (which are conservative numbers.) My undergraduate teacher friends complain that freshman level classes are more like baby sitter jobs, than actually teaching. So what's the answer? What is our response as a culture to help raise God Fearing teenagers to grow up? One of the options is THE KIVU GAP YEAR. Before I describe it any further, you can click over to the facebook page, hit like, and be privy to all the details. Click Here! This year KIVU decided to enter in the arena of High School Graduates. For 10 years we've handled teenagers in High School, but we've watched those students go off the University to become a statistic. We're interested in helping students grow up to be world changers, and the only way we can think to do it, expose them to as much world as we can. Nine of the creme de la creme High School graduates are in Denver right now learning how the "rest" of the world spins. They're interning with lawyers, social programs, ministry opportunities, medical personnel, and any other profession that speaks to their heart. The next part of the program will be 6 weeks in Rwanda, as they intern with people in a foreign nation. And finally, they'll round out the year living in the Philippines with an organization I've come to love dearly, ICBM or International Care Ministries. The goal of the gap year is to help students get on a track, so when they go to college, they can go with focus and determination. It's our hope to produce World Changing Adults interested in reaching out across country lines to lead in a God Fearing, Jesus following way. Check out the Gap Year on Facebook, as many of the students are blogging their experience in real time. 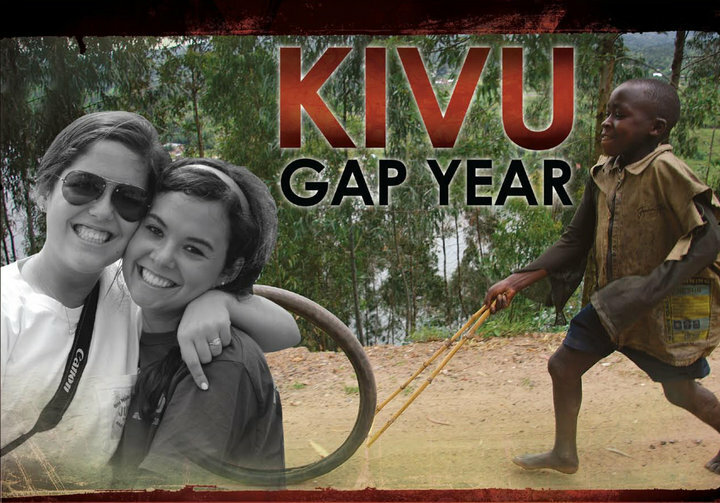 AND…if you think the KIVU gap year could benefit your school, church, or youth group, contact me (info@campkivu.com) as we're gearing up for the 2011-12 roster. I was with the kids in Denver last week, and I'm telling you, this program is nothing short of Phenomenal. Previous River Run For Orphans, Durango Looking to Help the World! When will they be in the Philippines? I will be headed there in mid November to mid December.